Prod. by BLACKCATHOLIC series synopsis: I write for other Catholic platforms too. When I have articles published elsewhere I will have some of them previewed here and will provide a link to the full article on the original site of the post. 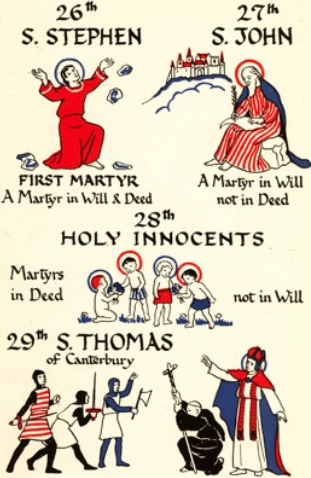 Take a look at the above featured picture of what follows Christmas day – a stream of martyrs. I think this fact is important to consider, and it’s not just a liturgical coincidence. “What I noticed was this: Christmas, perhaps the most joyful time of the year, sure is followed by a lot of death. Don’t follow me? 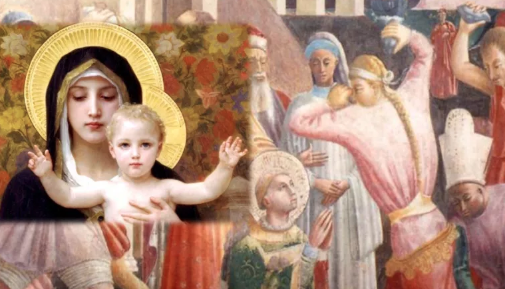 Just take a look at the feast days that are right after Christmas day. Mash up picture I originally made for the Laudare article.